As per the client's requirements, we manufacture a wide range of Flexible Drive Couplings. Our range of ICT FDC couplings is designed using two curved tooth gears, which is equipped with nylon sleeves. Also, the range that we offer is well known for its best service, less downtime and no lubrication required. Available in five different sizes, these are widely used in plants & machines. With countable years of experience, we are engaged in Manufacturing and Supplying a comprehensive range of Hydraulic Accessories. Our range comprises Hydraulic Equipment, Return Line Filters, Fluid Level Gauges, Flexible Drive Couplings, Hydraulic Strainers, Suction Strainers, Filler and Tank Breathers Strainers, Hydraulic Valves and Gauge Isolator Valves. These products find application in varied areas such as machine tools, construction machinery, hydraulically operated machinery, mechanical industries and earth moving machinery. 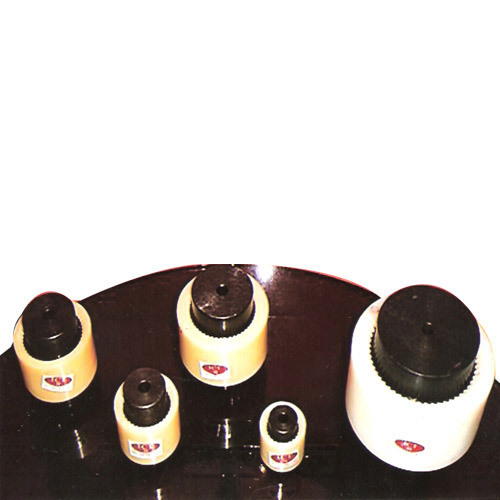 All our products are manufactured as per the set industry standards by making use advanced technological machines. Apart from this, we are also engaged in manufacturing oil hydraulic equipment like Filters and various tank mounting accessories. Designed in compliance with international quality standards, our range is highly reliable. We offer our products under ICT Brand and at industry leading prices. We ensure efficient delivery and services to meet the varied demands of our clients in the domestic market.